We’re hosting a networking event for members of the Toptal Community in Shenzhen. Join us at Be Bright Caffe, Monday, October 15th starting at 12:00 PM. 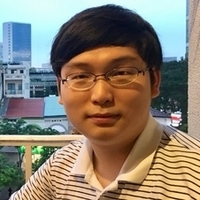 This is an opportunity to meet other Toptalers from your community, including Hanlin Wang, a Toptal developer who will answer any questions you have about working for Toptal. Your message to Hanlin was sent.